Every month, I do a recap of the books I read the month before. This month, I’m including movies in the recap. Since my A to Z goal is quick, short blog posts, I’m doing one-sentence reviews of each. Destiny’s Surrender by Beverly Jenkins, an entertaining and emotional secret baby romance set in late-1800s California. Level Up by Cathy Yardley, a cute story about love and friendship between game developers, set in Washington state. Attachments by Rainbow Rowell, a sweet love story developed over emails, set in the Midwest in 1999. I also read a number of graphic novels in March. Lumberjanes Vol 1: Beware the Kitten Holy was a fun story of a group of friends using their unique strengths while having mystical adventures at summer camp. Excited to see what Vol 2 brings. Rutabaga the Adventure Chef and Zita the Spacegirl were read with a 2nd grader, and we both enjoyed them greatly. Cool illustrations and characters, a mix of humor and feeling, and strong fantasy and sci-fi elements. When I’m writing a lot, I have to sacrifice scripted TV shows because I have no self-control when it comes to binge-watching. But last month I needed a couple movie days to just veg out. Zootopia (2016): Cute, funny, and emotional, albeit with some mixed metaphors. Zoolander 2 (2016): I loved the first one, and I didn’t think this was as bad as people claimed. Kung Fu Panda 3 (2016): Gorgeous animation and stunning scenery design, but the antagonist was underdeveloped. 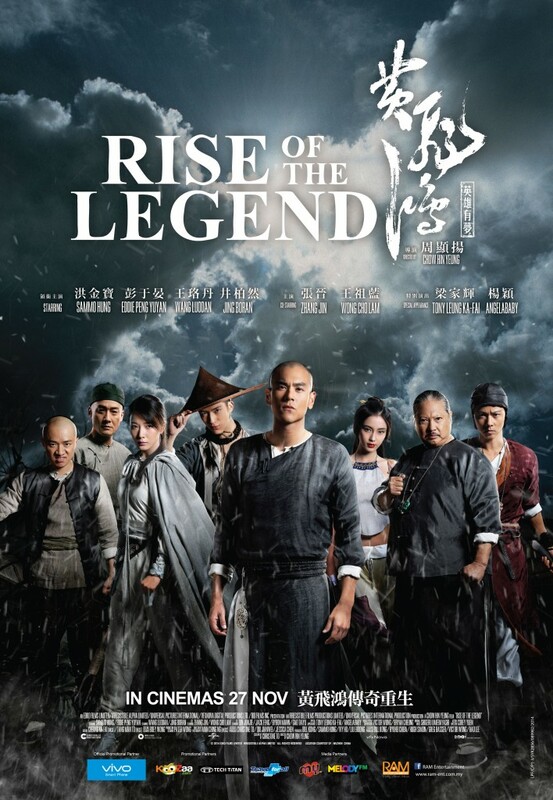 Rise of the Legend (2014): Awesome fight scenes and a layered storyline. Also, Eddie Peng is a hottie. Recommend. The Power of Narsimha (2005): Entertaining story and fabulous Bollywood dances. Babylon A.D. (2008): A movie with both Vin Diesel and Michelle Yeoh in it could have been amazing, but this one is just okay – it was fine to have on in the background while drawing. Pitch Black (2000): Even though I think Chronicles of Riddick is the worst movie I’ve ever seen, I was able to appreciate Vin Diesel in this one many years after it came out. Zootopia is definitely on my list! Wow. Did you read all these books in one month? I’m yet to read my first graphic novel. I love comics and graphic novels – they’re quick and fun! I haven’t seen a movie in forever! My attention span is all over the place. O.o I did see Pitch Black though–when it first came out. I remember it creeped me out, in the way a good creepy movie can do! I have the book Level Up on my TBR, and really want to get to that one. The Beverly Jenkins one, I am going to check that out now. I love this. It’s a really great list. 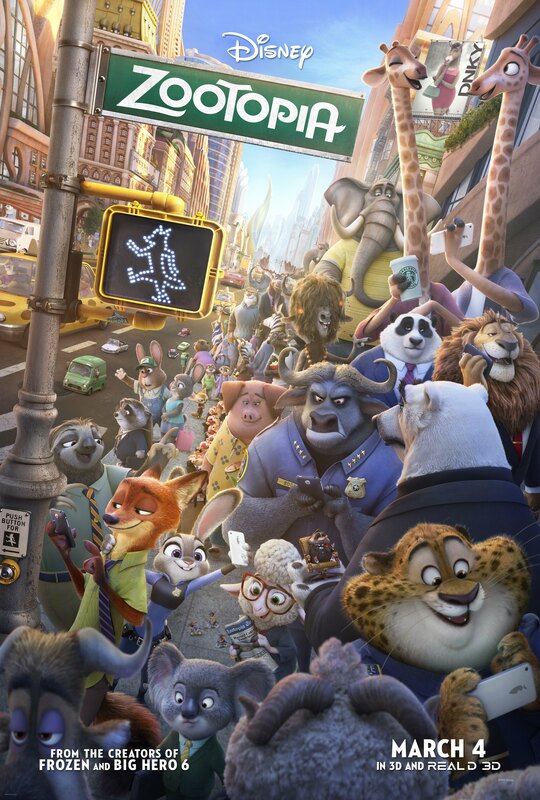 I’ve been meaning to take my daughter to see “Zootopia” hopefully I’ll get to it while it’s still in theaters. “Rise of the Legend” seems like a real good one, I gotta add it to my list.